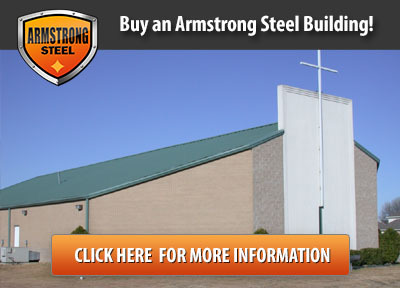 You don’t have to know much about us to know we’ve always been great endorsers of faith-based projects like steel Church buildings. 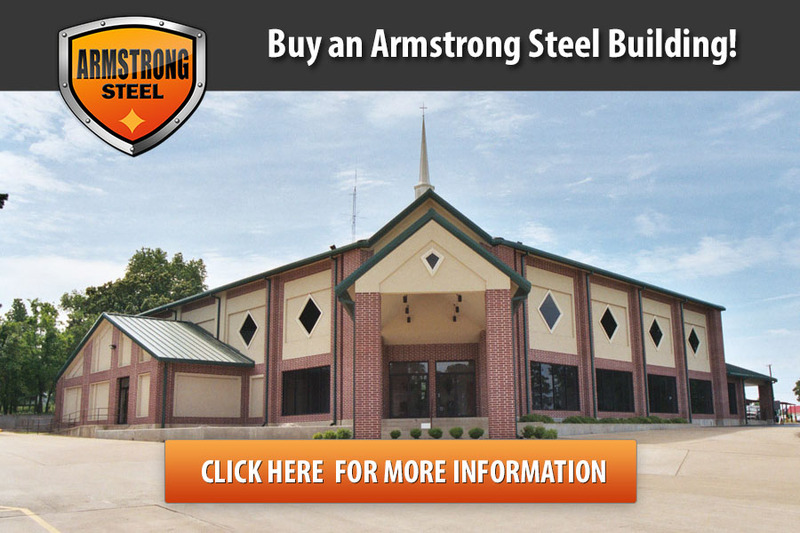 It’s the reason our list of steel church building construction projects is so long, and it’s the reason we believe Armstrong Steel has continued to be blessed with success. 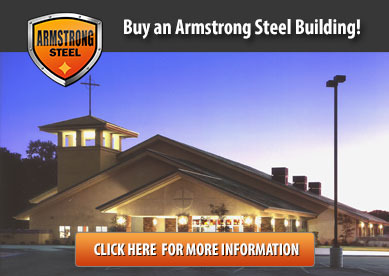 We are unique in that we believe a metal building church shouldn’t look and feel ominous like a funeral home. Thus we strive to build ecclesiastical facilities that reflect the genuine spirit of the congregation within. 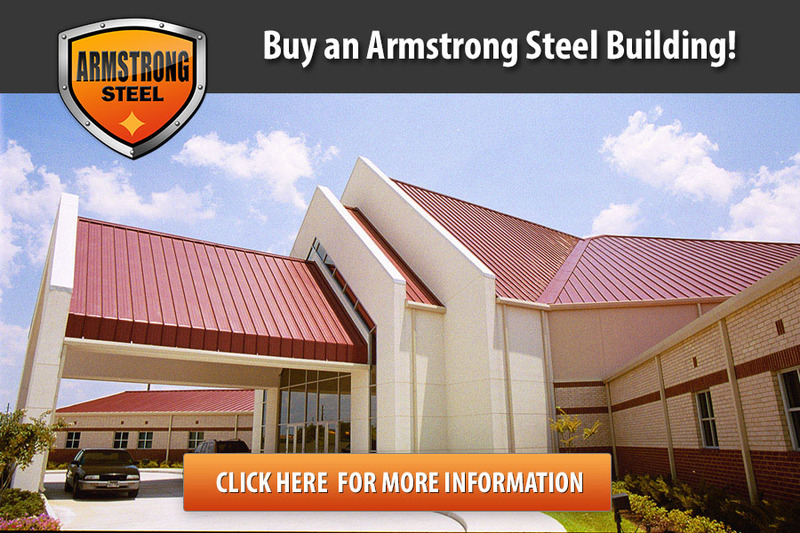 Over the past few years, Armstrong has become a recognized leader in steel and metal building church construction. Why? We know what we’re doing. 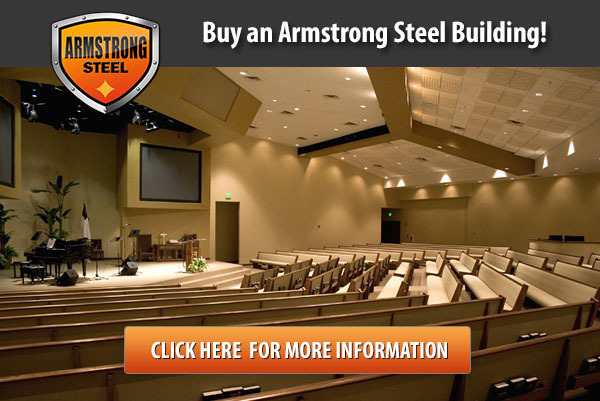 Armstrong focuses on building Christian worship facilities. 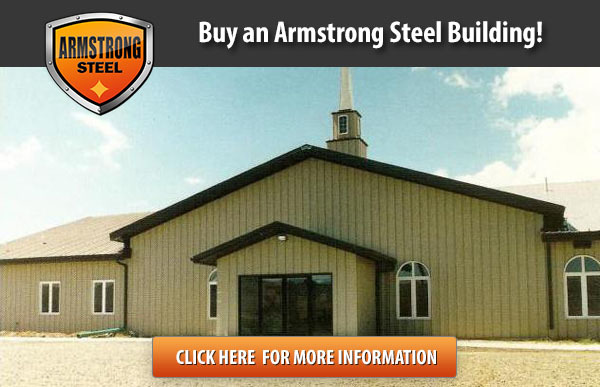 As a group, we are sensitive to the pressures felt by church pastors and their respective church building committees during the metal building church design process. 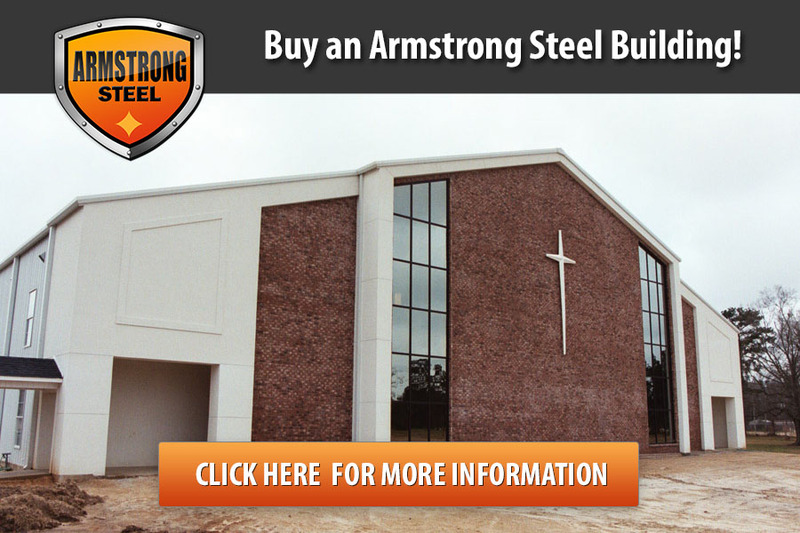 We recognize that each church community has a different vision for their facility and we are here to make the steel building church design and construction processes easier on you without changing your purpose. We've done the legwork for you! 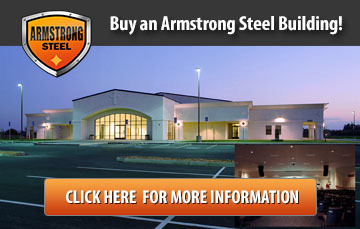 The variety of Church floor plans and photo realistic renderings offered by Armstrong Steel includes sanctuaries that accommodate anywhere from 100 to over 2,000 members, gymnasiums, multipurpose structures, schools, family life centers, and complete multi-phase religious facilities. We save you money. 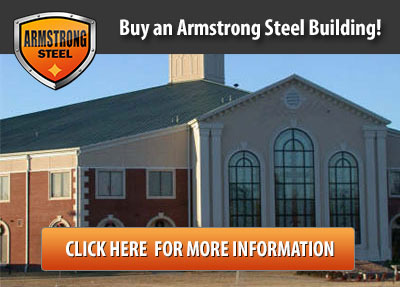 Not only is pre-engineered metal the most cost effective solution for your congregations growing needs but we provide plans that will save you up to 50% off the price of new plans designed by a traditional architect from scratch. 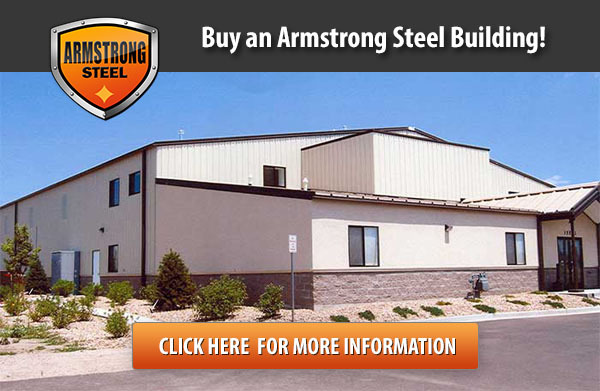 Our plans originate from previous completed projects and are tailored specifically to your value engineered Armstrong metal building so the costs are already known, giving you complete control of your budget. 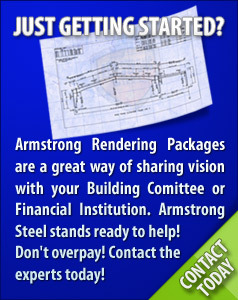 Plus, Armstrong plans are ready to be implemented in weeks, not months. We have experience at what we’re doing. 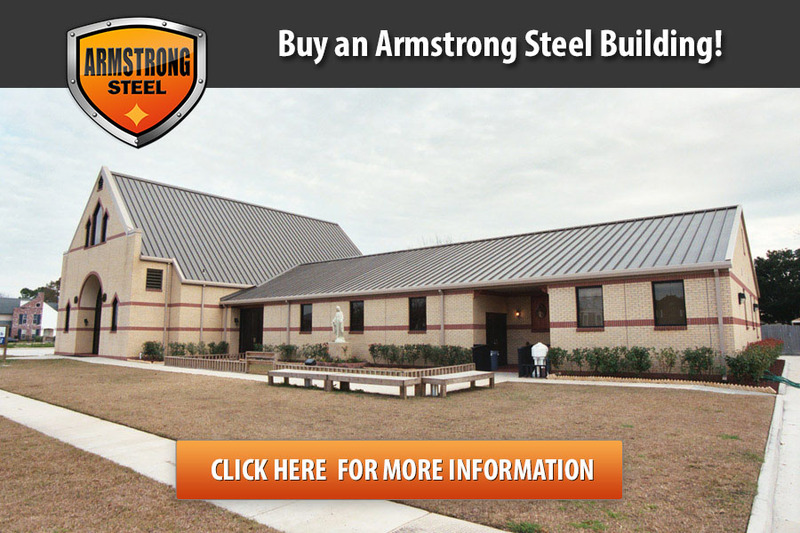 Armstrong Steel has built numerous faith-based facilities from remodels to new chapels including children’s centers, assisted living centers and 2,000-seat sanctuaries. We are unique in our approach. 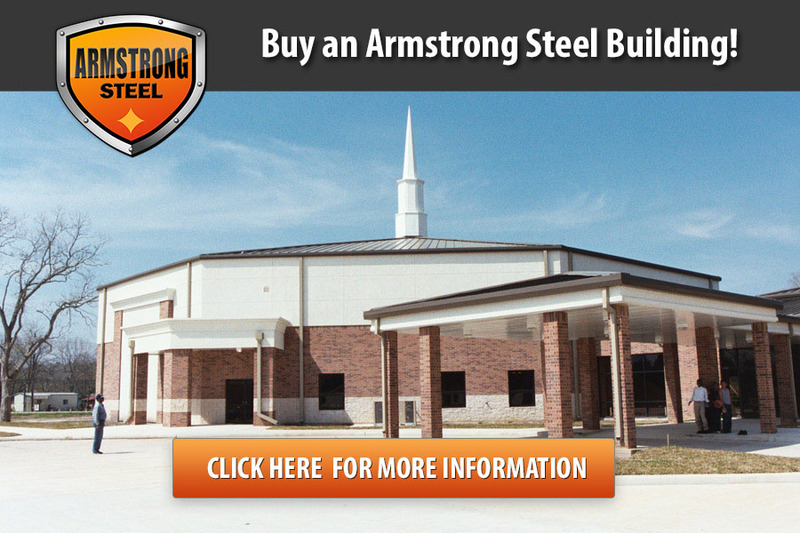 By teaming with Armstrong Steel, your church membership has access to the experience of a well-respected steel building company that understands and appreciates the good your church brings to the community. Pastors and church leaders are excellent at vision casting and creating excitement surrounding the idea of a new facility. This vision is often times shared with design firms that treat the organizations budget as a secondary priority. Most design firms are paid based on a percentage of the construction cost. This is why a large percentage of finalized church plans never come to fruition and why Armstrong first speaks with church leadership to understand the vision and goals of the congregation as a whole. 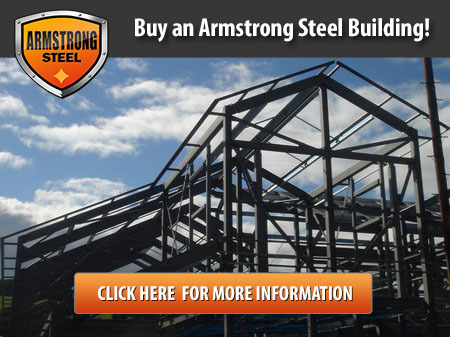 Contact us today and allow Armstrong Steel to bring its faith based project management services and technical expertise to your project in order to save money and deliver excellence.